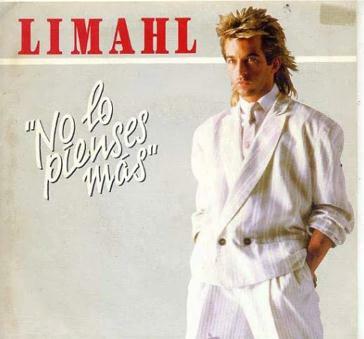 Here we have Limahl singing ‘Colour All My Days’ in Spanish, the track being called ‘No Lo Pienses Mas’. Huge thanks to TheRaggedTiger for sharing this one, uploaded from his own collection. I love it when an artist takes the time to learn the lingo of another country they are popular in and make a version of the song in that language. Culture Club recorded a number of versions of The War Song with George singing the chorus in a different language for each. I have some unreleased Erasure tracks too where Andy Bell sings the whole song in another language. I have the French 7″ of The NeverEnding Story and Limahl sings that in French. Very talented is that man.